Larry began his career in public service at the age of 17 with the Association of Community Organizations for Reform Now (ACORN). There he fought against the closure of low-income apartment complexes in some of the most marginalized communities within Prince George’s County. He has since worked on numerous electoral and issue-based campaigns around the country. He became Executive Director of Progressive Maryland in 2015 where he continues to grow the organization as the premier progressive force in the state working to build power for working families. Nikki, a graduate of the University of Maryland, College Park (Go Terps! ), was born and raised throughout the state of Maryland - including Prince George’s, Montgomery, Frederick, Washington, and Allegany counties. She brings over 17 years of professional organizing experience in the hospitality industry including with the Restaurant Opportunities Center of Washington, DC working on institutional and structural inequities primarily affecting women, people of color, and immigrants. She was next Executive Director of DC Jobs with Justice, focused on raising DC’s city-wide minimum wage, on wage theft protections and on job access for returning citizens -- and later working on national food and farm justice issues with the HEAL Food Alliance, training grassroots leaders on how to develop issue-based coalition-led campaigns, and run for political office. A Rhode Island native, Jennifer Dwyer moved to Prince George’s County in 2004 to pursue a degree in Latin and Ancient Greek at the University of Maryland, College Park. In 2013, while working on her Ph.D. at Bryn Mawr College, Jennifer discovered Walmart had plans to build a 24-Hour Supercenter 150 feet behind her home in a quiet neighborhood in Bowie, Maryland. She organized her neighbors to stop the project–and they won! She has worn a few different hats since joining the Progressive Maryland team in spring of 2016-- Lead Organizer mobilizing residents in Prince George's County, Policy and Legislative Director working to change state and county laws to benefit everyday Marylanders, and now, as Director of Development and Policy, she partners PMD with foundations and allied organizations to build power for our movement. Originally from Jacksonville, Florida, Michael relocated to Maryland in May of 2016. 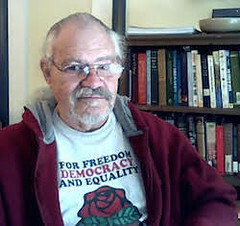 He has worked with campaigns for the Democracy Amendment Resolution advocating for free and fair elections and overturning the disastrous Supreme Court decision on Citizen’s United. He started the group Lower Shore Progressive Caucus and continues to collaborate with them to consolidate and amplify progressive political power in a traditionally rural area. Alexiss Kurtz grew up in N.E. Washington, DC and is a proud product of DC. Public Schools. Growing up in Washington, DC, she saw too many young, gifted, and black children who did not make it out of poverty. She advocates for equal access for low-income children, fair pay for women, and Black Mental Health. She is a highly accomplished and successful leader with 7+ years of experience developing political strategy, overseeing personnel, logistics, operations, and while ensuring political success through personal development. Her vision is to integrate training and personal development in every level of the organization. As Chief Operating Officer, she works to successfully manage strategic operational processes, human resources responsibilities, and leveraging organizational self-interest to drive improved efficiency and elevated political performance. Elsa Lakew is an organizer in Maryland, currently working as a Digital Organizer on behalf of Americans for Financial Reform on the issue of Pay-Day Lending. Born in Ethiopia, Elsa is a first generation American passionate about getting more youth within the African diaspora engaged in politics and grassroots organizing. Elizabeth is a current organizing fellow with legislative experience at the federal, state and local levels. She earned a MSW in community organizing and public policy from the University of Michigan and spent several years working on the Hill on immigration and health care issues. After leaving the Hill, she lobbied on behalf of the state Medicaid Directors and eventually accepted a position at the Colorado Department of Health Care Policy and Financing, where she coordinated with the state legislature on a number of Medicaid-related issues. In 2012 she returned to Maryland and founded Fluffed Up Desserts, a gourmet marshmallow company whose products were featured in several local grocery stores, which she sold in 2016 to spend more time with her twin humans. She is now engaged in local politics in Prince George's County. Davain McClain was born, and raised in Orange, New Jersey; he was a two-sport athlete from elementary school through High School in Baseball, and Football, upon graduating High School Davain joined the U.S. Navy serving four years onboard the U.S.S. Bataan, which was deployed twice during Operation Iraqi Freedom, and assisted with humanitarian efforts in Mississippi after Hurricane Katrina. Once being honorably discharged, Davain attended Rutgers University majoring in political science with a focus in American Government and Public Policy. 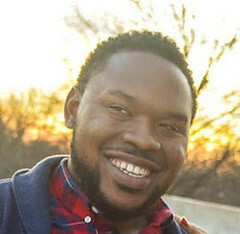 Davain relocated to Maryland in 2012, and was an intern for U.S. Representative Elijah Cummings of Maryland; He also worked in the office of U.S. Senator Tim Johnson of South Dakota. He is currently an organizer for the grassroots organization Progressive Maryland and is highly motivated to bring Progressive change to the state of Maryland. Jacquelyn Smith was born and raised just south of Boston, Massachusetts. She credits watching her single-mother work too hard to make ends meet for much of her push to progressive politics. In 2017, she received her BS in Environmental Science from American University. Her organizing background is primarily in elections and grassroots organization building. In addition to building working class power, she enjoys crafting and being outdoors. A former opinion editor of the now-defunct daily Prince George's Journal and instructor in composition, media writing, and journalism at Prince George's Community College, he has a Ph.D in Mass Communication from the Merrill College of Journalism at the University of Maryland, College Park. He lives in Lanham, MD. 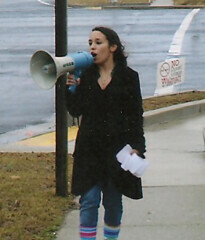 Progressive Maryland regularly hosts interns throughout the year. To learn more, click here.